One of our favourite galleries to visit in London is the Courtauld Gallery. 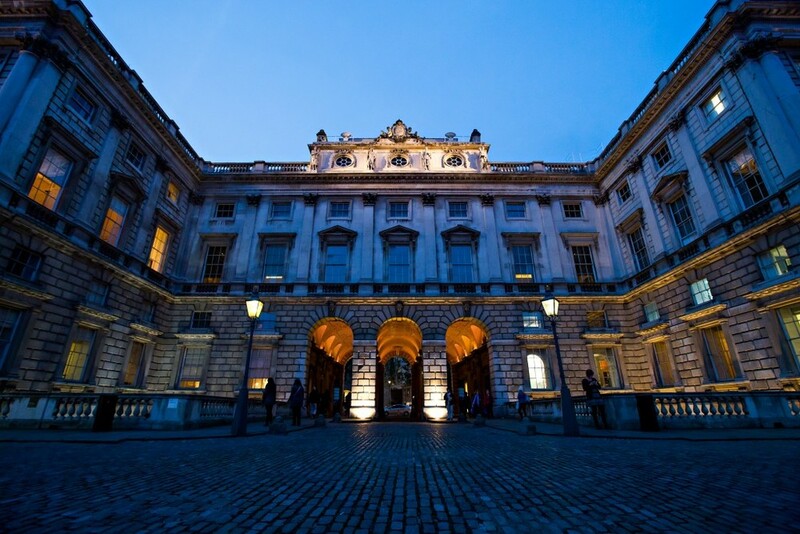 Situated in Somerset House, it is a real gem with a remarkable collection that includes paintings, drawings and sculptures from Medieval to modern times. Its 18th Century setting and intimate size provide the perfect setting to enjoy its collection. While known for its impressive collection of Impressionist and Post-Impressionist paintings, the Courtauld Gallery also has a fantastic series of special exhibitions. This month we saw two wonderful exhibitions at the Courtauld from British artists Bridget Riley and Peter Lanyon. ‘Soaring Flight’, which opened this week, is a stunning exhibition of paintings by Peter Lanyon. Despite his untimely and early death, Lanyon was one of Britain most important post-war painters forming his own style of landscape painting that merged abstraction and constructivism. We are often drawn to abstract paintings that can provide us with the inspiration for a colour palette while enlivening a room. There’s also an eye opening display of Bridget Riley’s work alongside her great inspiration, Georges Seurat. They are undoubtedly united by their focus on optical art and interest in the science of colour, but this exhibition shines a light on how influential Seurat was on Riley’s career. Among the works on display are her copies and versions of Seurat’s pointillist landscapes. For us it’s also fascinating to see the old and new displayed together, we loved the pairing of Riley’s iconic 60s works with Seurat’s 19th Century paintings. In terms of mixing old and new in interior design projects, Devas Designs have always enjoyed incorporating and blending traditional pieces with modern styles. The best thing about incorporating classic, antique pieces and works of art into a modern interior is that they can become timeless if chosen well.